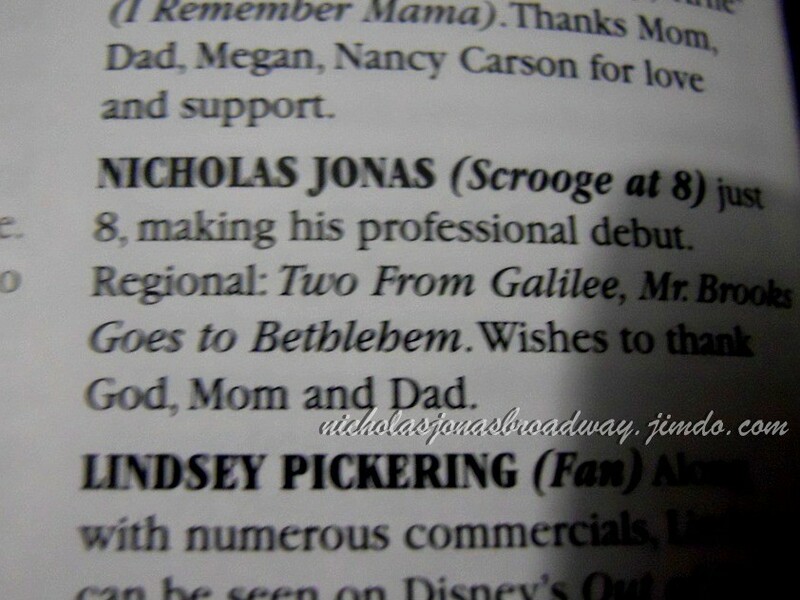 A CHRISTMAS CAROL - NJB JimdoPage! 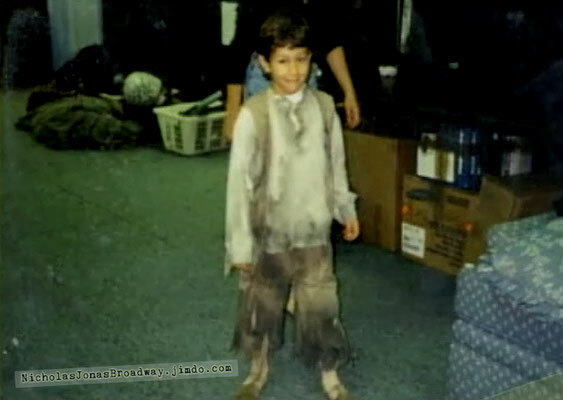 Nicholas Jonas' Broadway debut, at 8 years old, in A Christmas Carol-The Musical. 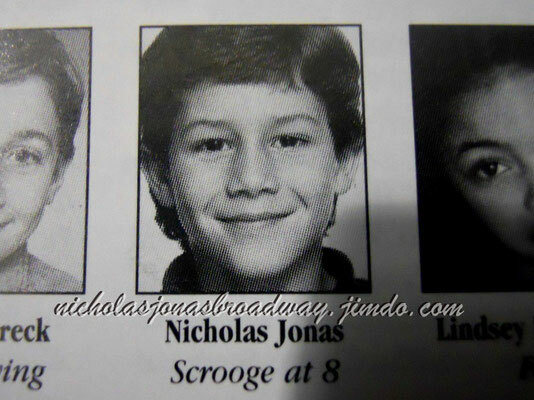 Nick had a couple of minor roles, but his official part was Scrooge at 8, and as an ensemble member he was known as 'Nicholas'. His ensemble roles included Rich Boy, Hoop Boy and Fezziwig Guest. 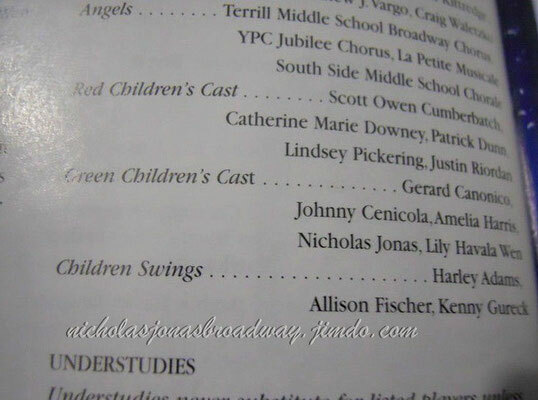 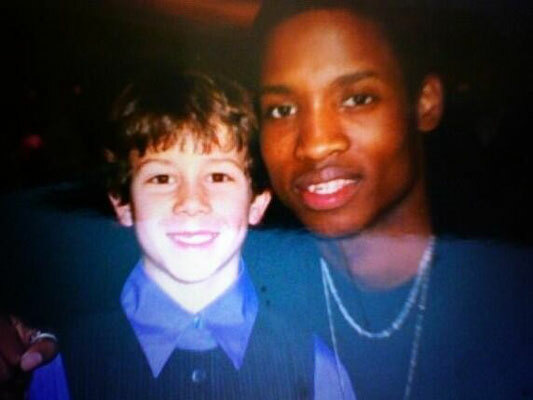 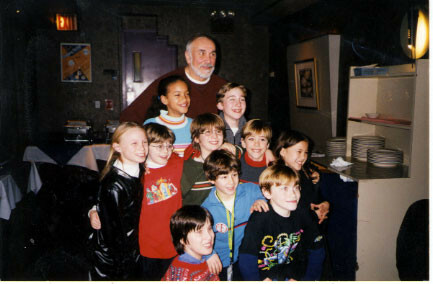 Nick alternated all of the roles with Justin Riordan, who was in the Red Children's Cast. Nick had to play Tiny Tim in a couple of performances, when Patrick Stogner who played Tiny Tim got sick. 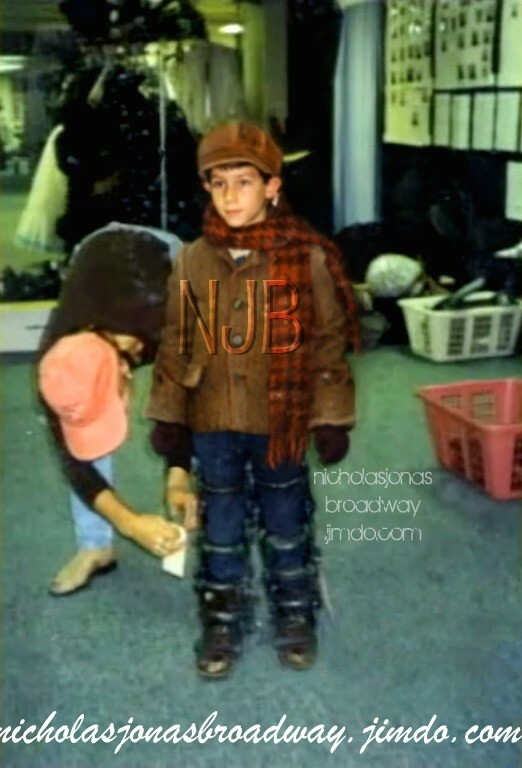 In all the years the show was on Broadway, Nick was the first understudy to play Tiny Tim. 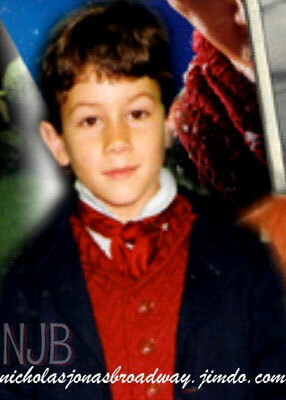 Nick tells that on his first night as Tiny Tim, he was so scared he forgot his solo, and just stared at the audience! Afterwards, instead of the serious talking to Nick was expecting, he received some good advice instead, from the man he was most scared of: "this happens, it's live theater, you do better next time." 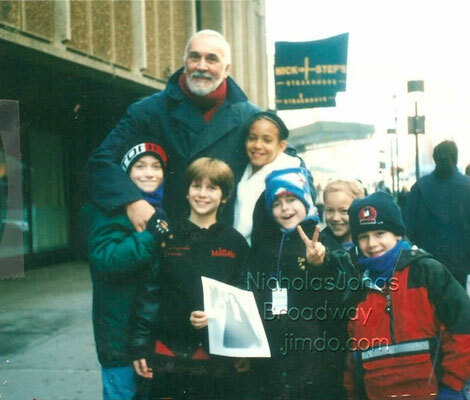 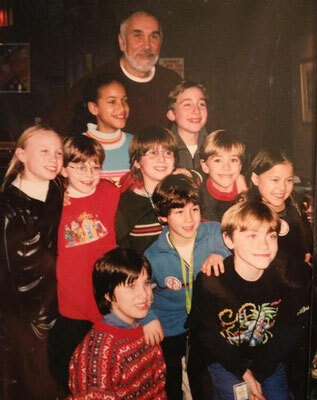 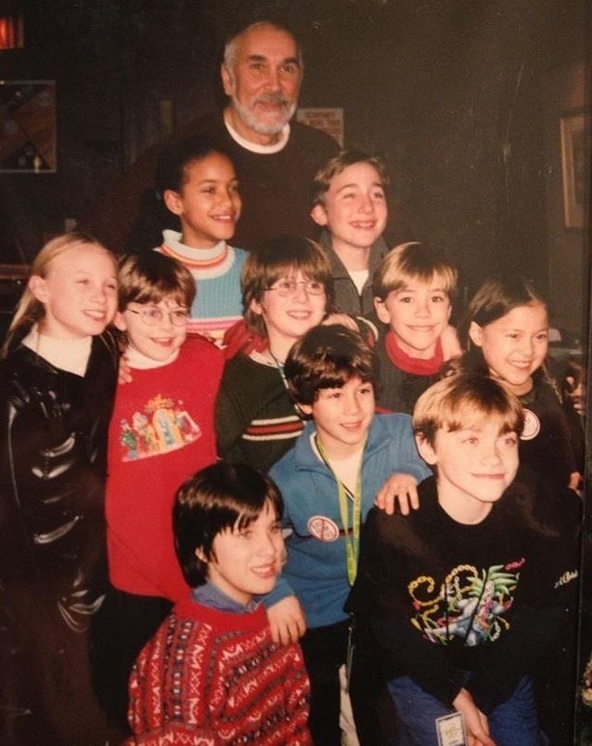 Some of his cast mates were Frank Langella, Nick Corley, Allison Fischer, Patrick Stogner, Jimmy Walsh, Gerard Canonico and Amelia Harris, among many others. 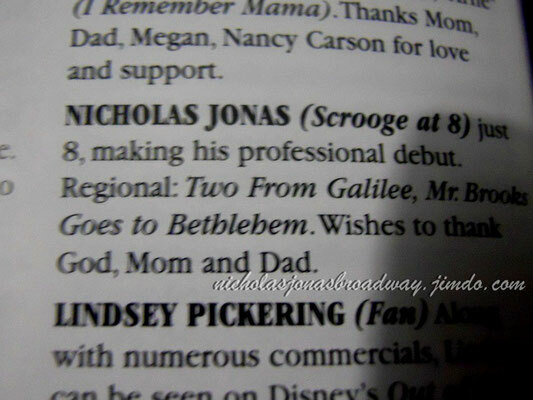 A Christmas Carol is a musical adaptation based on the classic Charles Dickens’s novel. 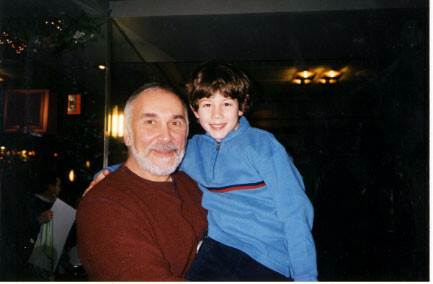 The show was performed every holiday season at Madison Square Garden for 10 years, from 1994 to 2004. 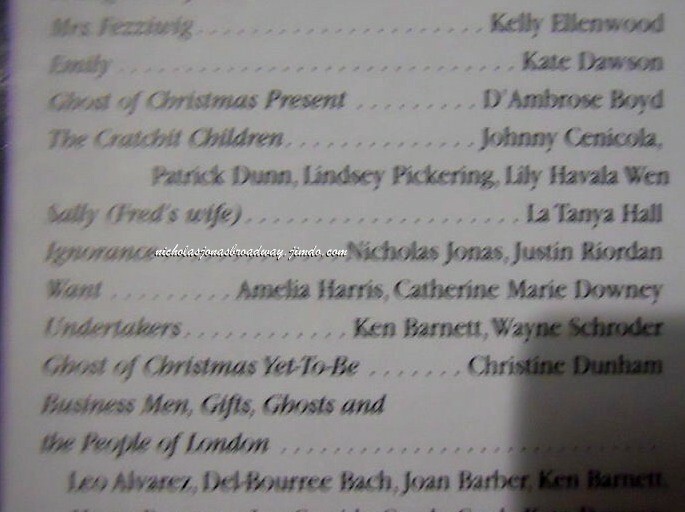 When Ebenezer Scrooge loses faith in Christmas, the Ghosts of Christmas Past, Present, and Yet-to-Be pay him a visit in order to find him the true meaning of Christmas once again. 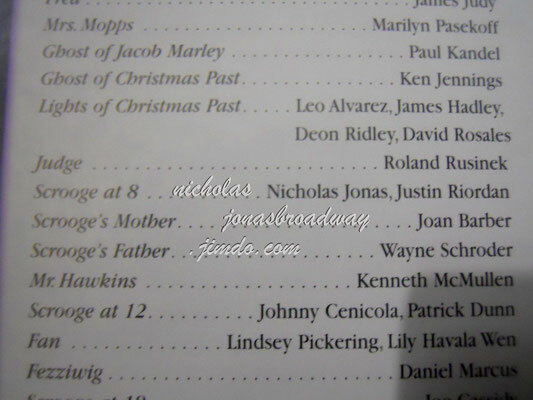 Scrooge at 8 is featured when Scrooge goes back in time with the Ghost of Christmas Past. 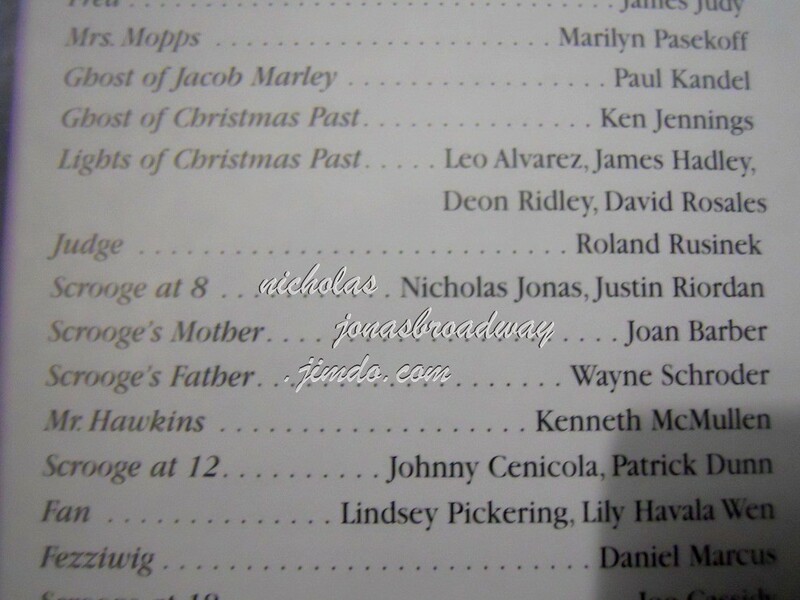 Ignorance is featured when the Ghost of Christmas Present shows Scrooge what has corrupted people. Tiny Tim is the crippled son of Scrooge’s clerk, Bob Crachit. 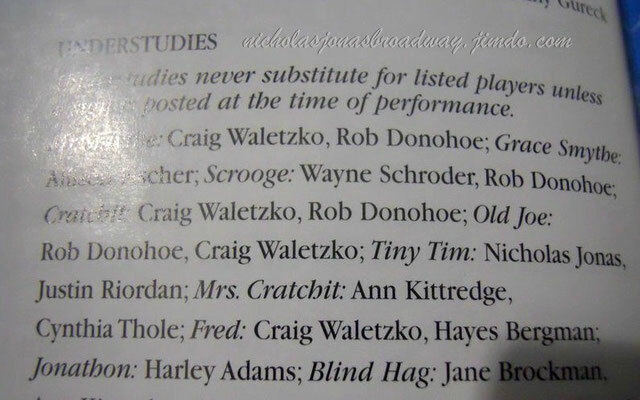 Playbill pictures are from Meg!